It's mainly about my Filofax and Bullet Journalling at the moment but that's what I feel comfortable talking about so it's helped me to gain front-of-camera confidence. I've been chatting to a few other blogger-vloggers and I thought it would be a great idea to set some video challenges to get people up there in front of the camera. This is open to anyone - even you! All you need is a webcam/camcorder/mobile phone, your YouTube (or other video) account and a bit of creative licence. This will be run by myself and Kate from WitWitWoo.com (here's her YouTube channel) and we will be setting one challenge/theme a week. Each challenge will be set on Tuesdays and you are free to dip in and out whenever you like. No pressure at all. There are no rules other than interpreting the theme in your own unique way and you can share your link with us on Twitter by using the hashtag #vlogchallenge. You'll also be able to find all the other videos from that week by following the hashtag too (and I might even host a link-up... we'll see...). SO... are you in? 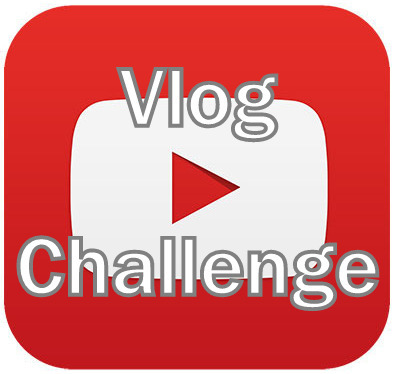 If so, come back here on the Tuesday the 1st of July for your first vlogging challenge. In the meantime you can watch me answering some questions that were set by Kate earlier this week. She's also had to answer some questions that I set too which you can find here.